On the hunt for some cheap wireless headphones? This page lists the best bargains shared by our community. We look for discounts on Amazon, Argos, Tesco's and more to help you save money. Wireless headphones from Sennheiser, Sony, and cheaper alternative brands too. Make sure you also take a look at our bluetooth headphones section too. Anker Wireless Headphones Soundcore Spirit Pro, with Dual EQ - Save £30! A pair of wireless headphones is the perfect solution for listening to your home hi-fi systems, portable audio players or computers without any cable. 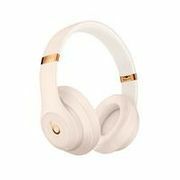 Cheap wireless headphones have recently started to approach standards of sound quality of corded headphones, providing users with an immersive listening experience. Brands like Sennheiser enables you to wirelessly listen to your music, providing you to easily move around without the hassle of being held back by leads and cables. Wireless headphones come in a couple of parts, a transmitting base station and the headphones themselves. What’s the advantage of wireless headphones? Wireless headphones is a great option for talking on the phone or listening to music while you’re cooking, working, jogging or on the go. There are numerous advantages to wireless headphones, but the most obvious factor is the lack of wires in your way and your increased flexibility of not being tied to your MP3 player, TV or your mobile phone. Wireless headphones for Tvs. These are different from those you use on your MP3 players or for making calls. Before shopping around for headphones, always see to it that the device you want have the specs you need on where you will use them to ensure that they will work seamlessly together. Bluetooth headphones. 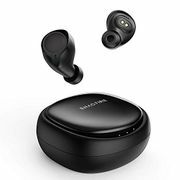 These are the latest among the types of wireless Bluetooth technology and usually offers a great balance between quality and cost. Bluetooth headphones will work well with your Bluetooth-capable mobile devices. Most radios and TVs do not come with the Bluetooth feature and won’t be able to connect, so make sure to check the device before buying them. Infrared headphones. These are the ideal option for older devices or TV sets that do not come with a built-in wireless feature. You simply plug the receiver into the headphone plug and connect it to your headset. However, there are major limitations to these headphones which make them a not so good option in terms of music or other complex sounds. UHF headphones. These headphones offer a larger sound range compared to infrared headphones and you can use them for music listening without any issue. It’s ideal to use with older tech that does not have Bluetooth or other wireless connectivity options. The first step in choosing the perfect headphones to meet your needs it to know where you will use them for. And of course the next step is to determine your budget. Another factor you need to decide it the headset’s style and design. Before, wireless headphones are chunky, bulky devices, but that has changed over the years. You can easily find wireless earbuds and small headsets both online and in-store. Every wireless headphones has its own pros and cons, so it’s recommended to buy one that suits your specific needs. Bluetooth headphones are a must for listening music on-the-go, but they don’t normally offer the best sound quality compared to bulkier types used for home. If you will use it for watching TV, get one with a closed back as these headphones can block outside noise as well as keep sounds coming through them from leaking out to disturb other people around you. If you want to listen to your music in the office or a crowded area, headphones that can block out ambient noise is a good choice. Sounds are somewhat muffled by headphones with an over-the-ear closed design, but if you want to really mute the world around you, you may want to consider wireless headphones that has noise-canceling. But if you still want to hear your phone ring or keep track of your children playing, choose one with an open back. When it comes to fit and comfort, it’s a matter of personal preference. Some prefer the smaller on-ear headphones, while some likes the over-the-ear types that gives out an enveloping feeling. Some people also like how open-back headphones stay cooler, while other do not mind a bit of extra warmth. Your head size is also matters. While most headphones are adjustable, if you have a larger head, you may want to still consider looking for a pair that’s not tight enough to avoid headaches. If purchasing online, look for a retailer with a good returns policy. Where can I find cheap wireless headphones? 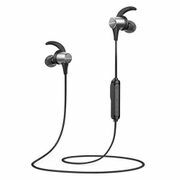 You can find a great deal of discounted wireless earphones and headphones at Argos. They often have clearance sale that can save you as much as £30 and great new price on the latest releases from major brands like Sennheiser, JBL, Philips and Sony. 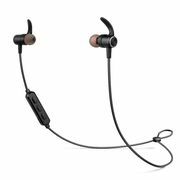 Plus you can get cheap wireless headphones in-ear for under £20 while some comes with discounts of as much as £19. Currys has more than 250 wireless and Bluetooth headphones that you can choose from. They have weekend flash sale where you can get amazing discounts on wireless headphones on clearance sale. For example, you can save up to £100 on brands like Beats plus you can also receive 3 months free unlimited music with Deezer Premium+. Most wireless headphones here also come with free delivery and a 2 year guarantee. Where can I buy cheap wireless speakers? I'm after a cheap DAB Radio - can you help?